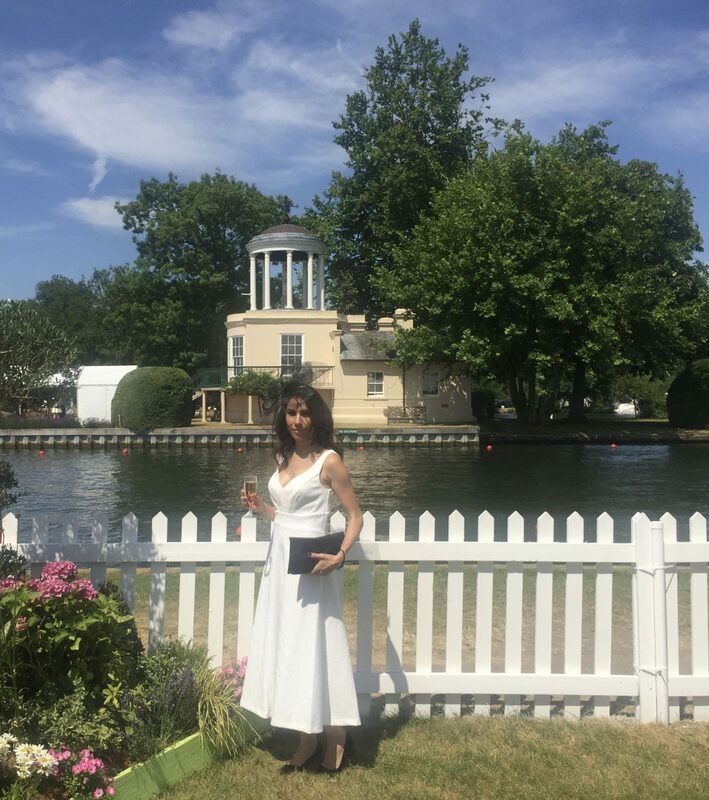 During the peak of the hot summer, here in the UK, I had the pleasure of being invited by Debenhams to attend the Henley Royal Regatta. 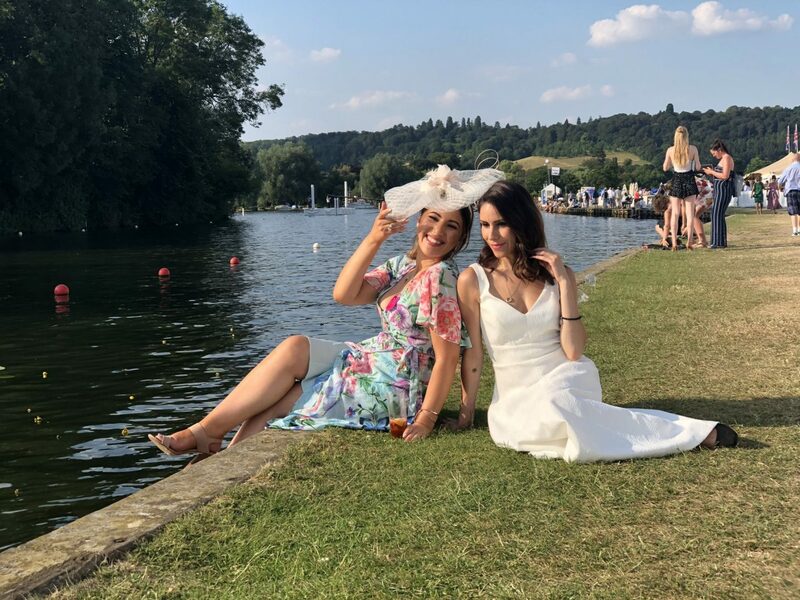 I had been to Henley many times before, with my family to enjoy barbecues by the river, but I had never been to the Regatta before. I was very excited to have received the invitation and I was allowed to pick an outfit of my choice from Debenhams. 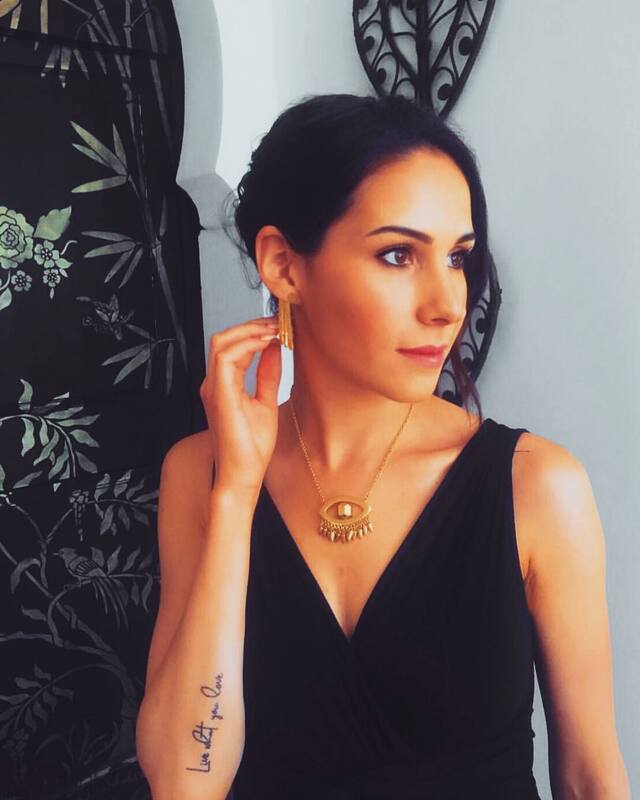 I found the most beautiful Audrey Hepburn style dress from Debut (see here) and I knew that was the one I wanted to style. 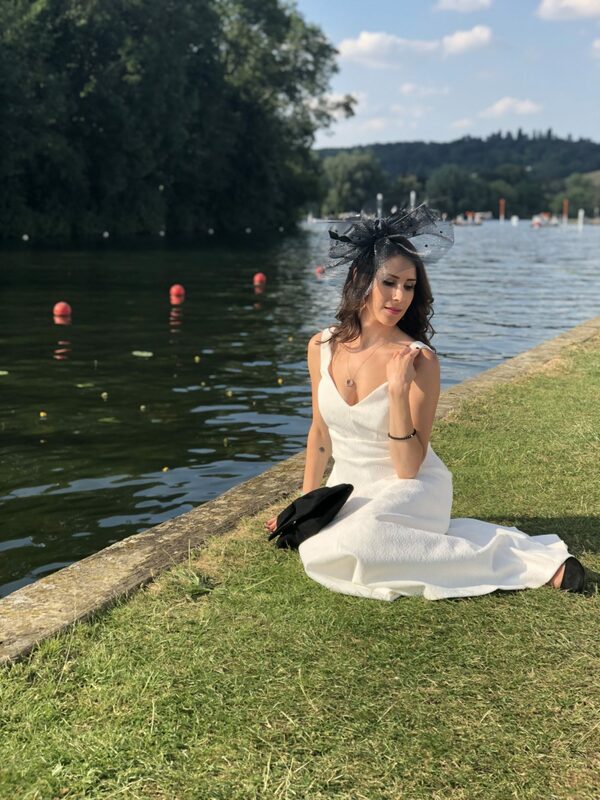 As it was white I decided to go for a monochrome theme and I paired my dress with suede black pumps, a black velvet clutch and a chic black fascinator from Debut to complete my look. 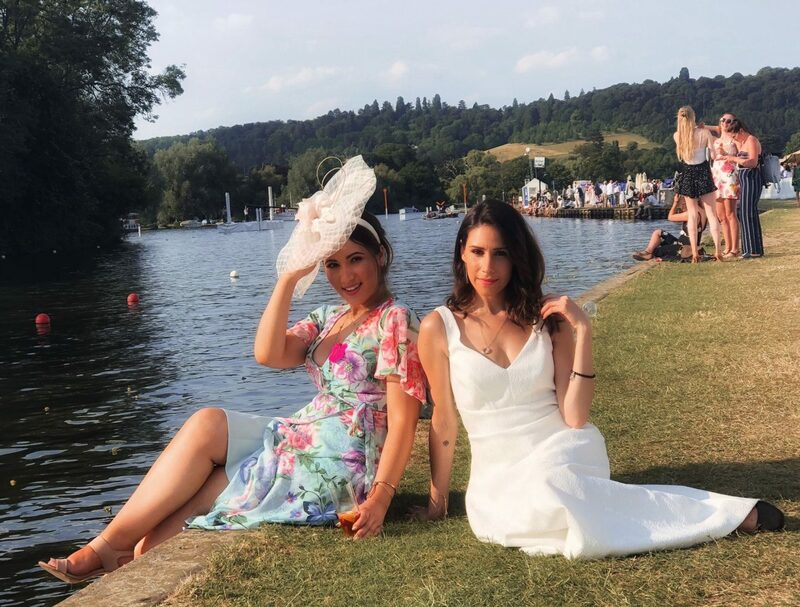 The whole event was absolutely stunning and the weather definitely complemented that. 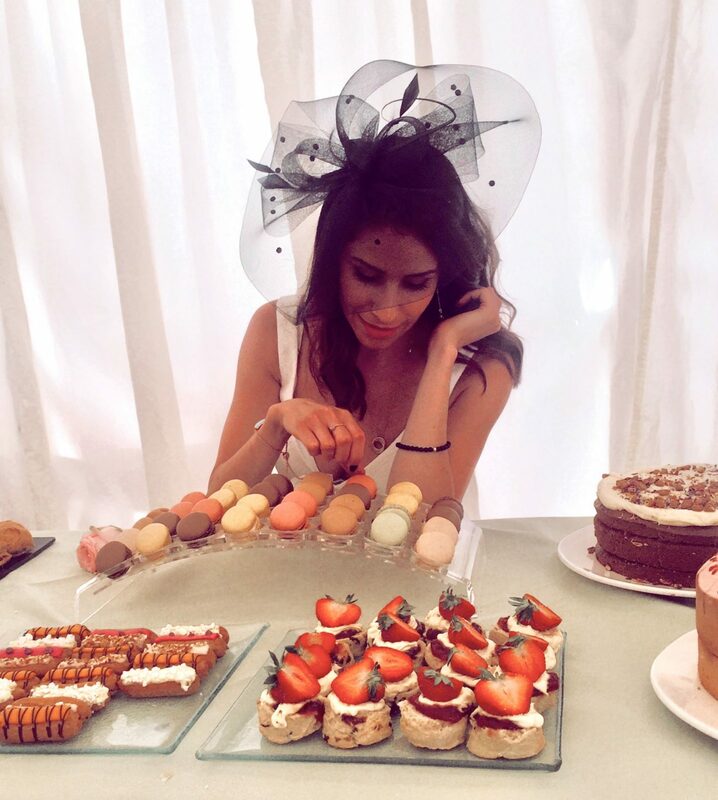 From the delicious Pimm’s cocktails to the four course lunch, everything was wonderful! A huge thank you to Debenhams for such a lovely day and of course, my dress!